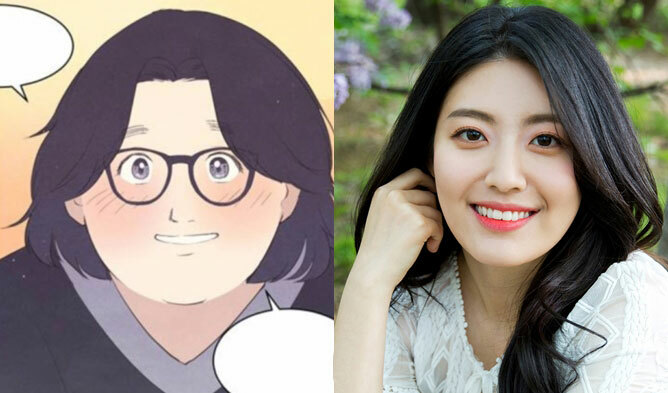 “He Is Psychometric” is a fantasy romance thriller drama of the cable channel tvN with GOT7‘s JinYoung and Shin YeEun. It tells the story of a girl that has a secret to hide and a boy that has ‘psychometry’ skills, permitting him to read hers and others’ secrets. JinYoung has been showing to the viewers that he can act. In episode 3, he proved one more time that he is a good actor. A touching scene caught our attention. Be aware of spoilers of episode 3. JinYoung (as Lee Ahn) is an orphan and was ‘abandoned’ by his life savior he considered as his older brother. In this scene, JinYoung is a middle school student and he is fighting alone with a few boys. As he walks back from the fight in a snowing night, he hears a puppy cries. He opens the box recovered with snow where “Please take the puppy” could be barely seen anymore. 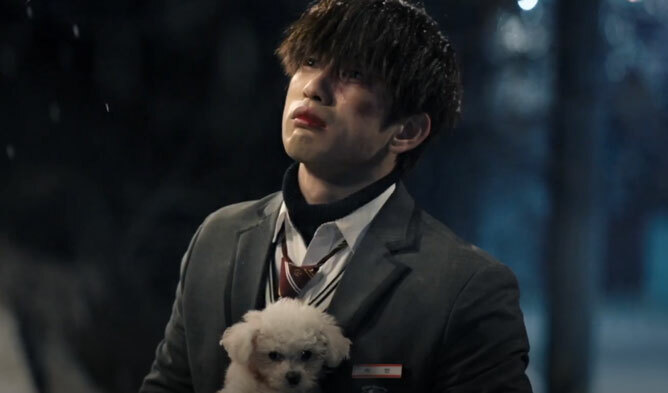 An adorable crying white puppy appears and JinYoung says “You were abandoned too, same here. Are you alone? Me too”. As JinYoung pets the white puppy with his bleeding hands, the puppy fur turns pink/red and he says with sobbing voice “Sorry. I shouldn’t have touched you. Everyone leaves me when I touch them. Do you want to go home with me?”. This is when the ‘older brother’ appears and says “I’m here for you, to pick you up”. To which JinYoung says “I missed you” with teary eyes. As he cries, the puppy that was looking in the front, starts to look at him. The scene could only break the hearts of the viewers as the scene was very emotional. JinYoung also showed great acting skills giving even more sadness to the viewers. Also, the scene is even harder to handle for those of you who like puppies. Were you also moved by the scene?